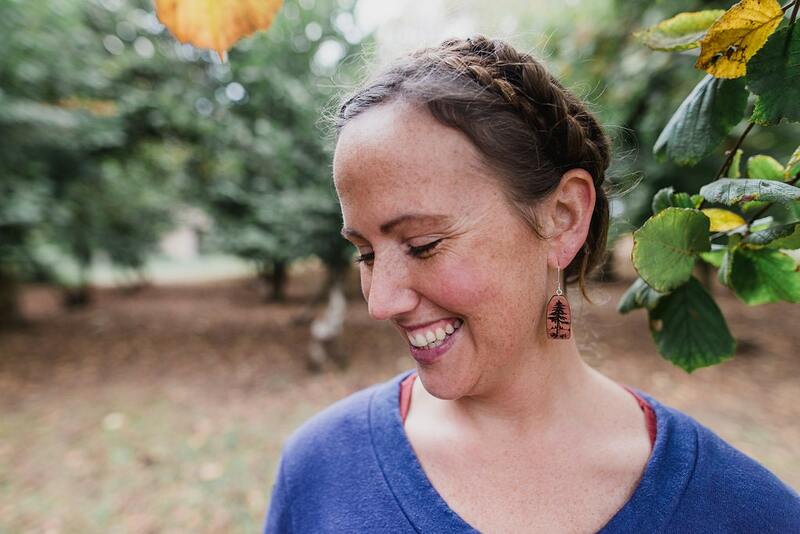 These tree earrings were created by my husband Jeff in red cedar wood. I love cedar wood and especially red cedar with that rosy hue. 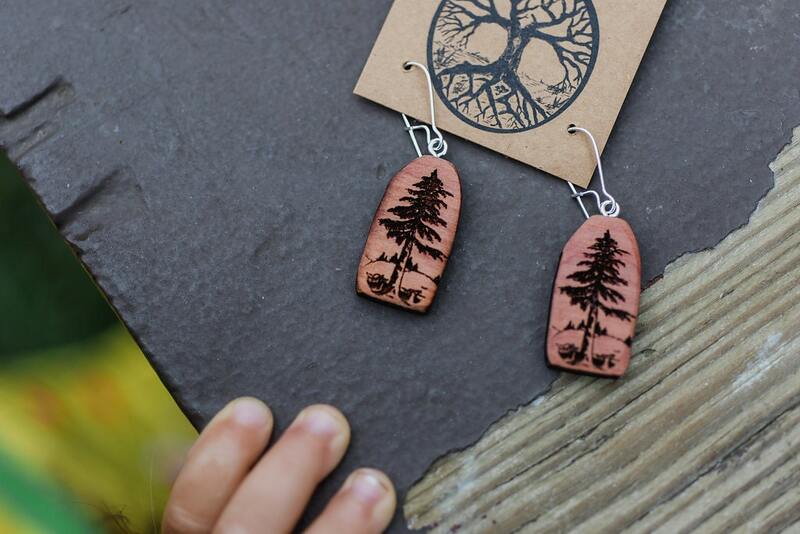 He sanded and polished the wood smooth and burned a tree design in each earring. They are burned around the edge, which makes a nice border. 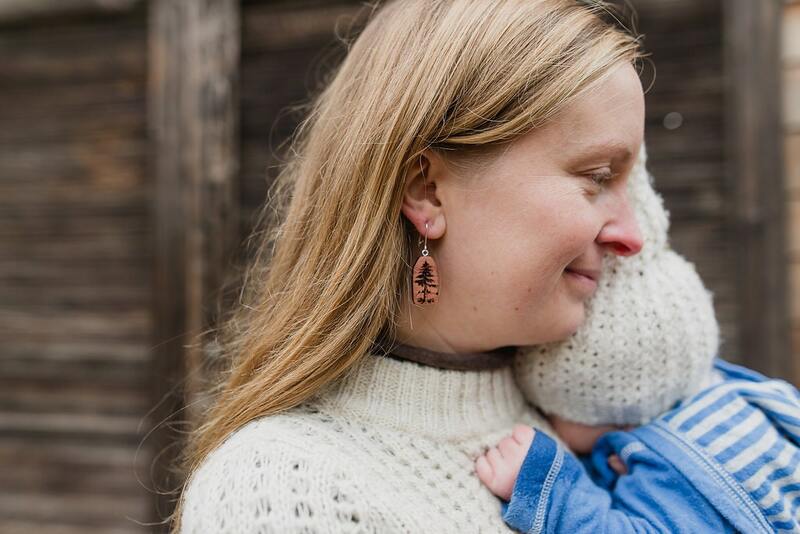 These earrings are nice and lightweight (the cedar makes for some lightweight earrings!) and they come on silver plated ear wires. 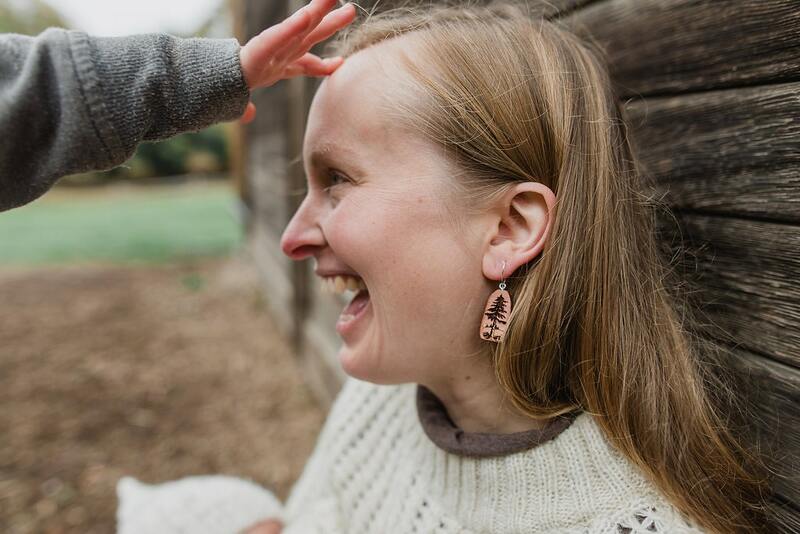 Made for the one who loves trees, you can bring a bit of nature with you wherever you go when you wear these wooden tree earrings! Measurements: Between 1/2 inch and 3/4 inch wide. Between 1 and 1.25 inches tall. The item showed up exactly as described and promptly. I was kept updated on the status of the item. Nothing sells me more as a customer than nice packaging, prompt delivery and the added bonus was a handwritten "Thank You!" card. Great job! Highly recommended seller! Thanks Woolymossroots! These earrings are for a client of mine, I know she will absolutely love them! Love these earrings! Thank you for your wonderful work! 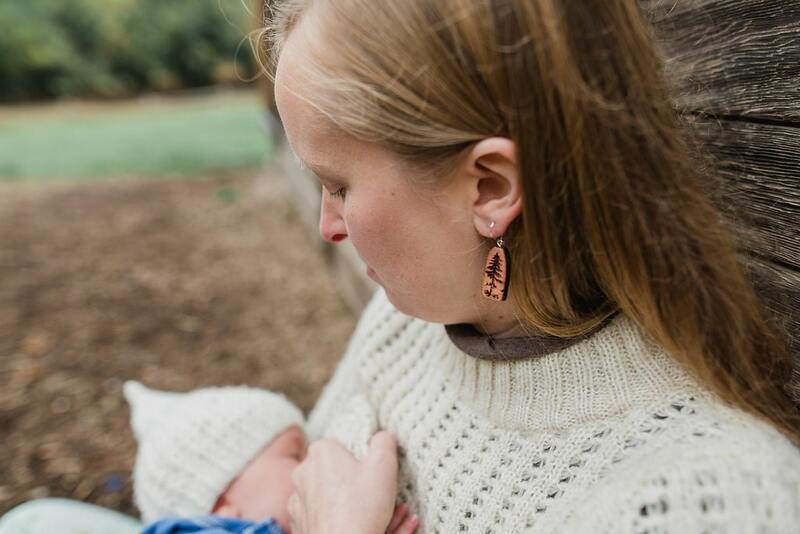 The earrings are beautifully crafted and are just as described above. They were shipped immediately and are a bargain for the price.